Long ago when I worked for the radio station BFM 89.9, I chanced upon one of the touching interviews with the owner of Gadis Manis. Her story is so touching and special that I had to meet her in person after I listened to the podcast. I visited her shop in Solaris Dutamas and fell in love with her work. Her stuff are really well designed and perfect as gifts for friends who have visited Malaysia or for foreigners who want to have a piece of Malaysia with them as a good remembrance. It's funny because of a little coincidence that happened today. I wore one of the shirts I bought from Gadis Manis to school today (currently I am studying in Alliance Francaise Bangsar). I got compliments from the French teachers and they quickly noted down the name of the shop. They immediately thought of SHANGHAI TANG when they saw my shirt -- and true enough that is the inspiration of the owner of Gadis Manis. Just when I had all that discussion about the brand, I received an email from the owner... and had to share this piece of news. 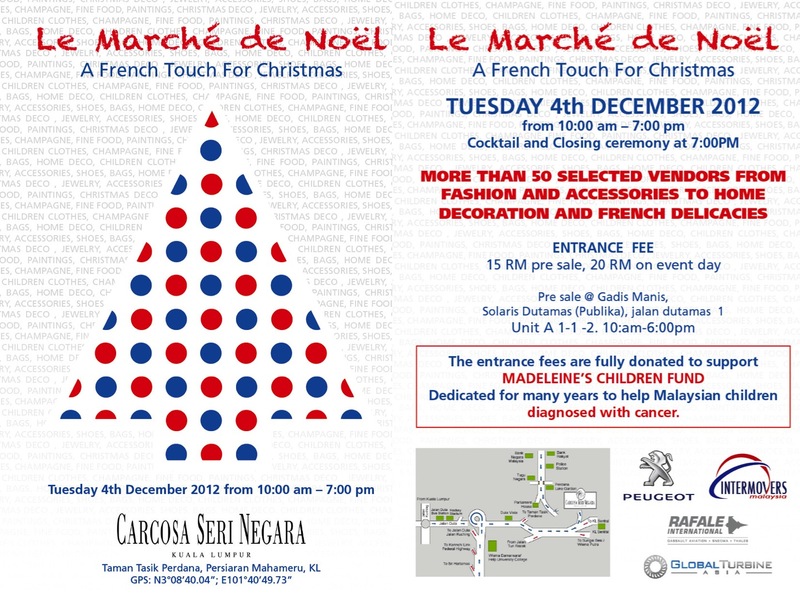 For all lovers of French products and would like to shop for a good cause, do drop by the upcoming event. 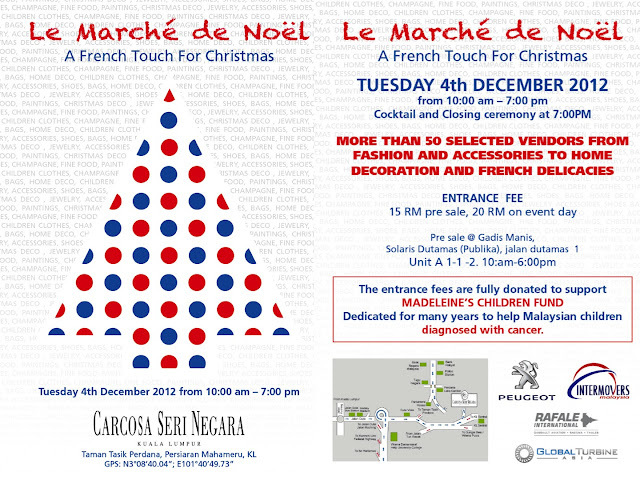 It will be a good place to shop for unique gifts for your love ones this coming holidays.. plus the venue is a beautiful hotel which I find very charming. See you there.